Books to Get Excited About!! I thought it was time to pause, take a breath and write down my reading intentions for the next few months. There are a lot of exciting books which have just been released or are soon to hit our shelves. From the follow-up book to Justin Cronin’s magnificent post-apocalyptic novel The Passage and big name authors Jodi Picoult and Philippa Gregory trying their hand at writing Young Adult books, to a couple of highly acclaimed books hitting my reading radar. It looks like I will be eating canned soup for a couple of months and blowing my pay on books! The Light Between Oceans by M.L. Stedman: This is the debut novel by an Australian author. I keep on reading rave reviews about it: reviews that don’t really give too much away. The average rating on goodreads is 4+ stars. The premise is that a husband and wife are living in a lighthouse on a remote island off Western Australia in the 1920s. They can’t have children and one day their prayers are answered when a dinghy washes up on the beach with a dead man and a crying baby inside it. They make a decision and years later the consequences of that decision is finally revealed. Sounds very mysterious! I actually bought this book yesterday and am half-way through already. So far, so worthy of the accolades! The Watch by Joydeep Roy-Bhattacharya: This book takes the Ancient Greek myth Antigone and casts it into modern-day Afghanistan. Following a night battle, a group of soldiers are confronted by a young woman, demanding the return of the body of her brother. Is she a grieving sister, a suicide bomber or a spy? And what will the soldiers decide? Bitterblue by Kristin Cashore: I previously read Fire by this author and loved it. She creates strong female characters and the fantasy world they inhabit leaps off the page. This book is set in the same world as Fire and Graceling before it. Bitterblue is a Queen who has inherited a traumatised kingdom – thanks to her father’s mad reign. She starts sneaking out of the castle to walk amongst her people and to find out the truth about what’s still going on in the kingdom. Deadlocked by Charlaine Harris: Deadlocked is book 12 in the Sookie Stackhouse series – one of my favourite book series ever! It has just been announced that book 13 will be the final book. It makes me sad to see the end of the adventures of Sookie and her vampire, werewolf, shapeshifter, witch and fairy friends, but it might be time to bow out before the series is dead in the water. I just finished reading this book and will soon report my findings. The Changeling by Philippa Gregory (author of The Other Boleyn Girl, The Red Queen, The White Queen and many more fantastic historical fiction books): This is Philippa’s first Young Adult book. It’s set in 15th century Italy in a time of great superstition and religious fervour. The story follows the travels of 17-year-old Luca as he is charged with investigating whether so-called miracles are the work of God or if they have more worldly origins. In his first investigation, he meets seventeen-year-old Isobel, a rich heiress sent to an Abbey by her brother after refusing to marry the husband of his choosing. The nuns in the Abbey are being plagued by terrifying visions. Is this the work of God, the Devil or something much worse? I just finished an Advanced Reading Copy of this book and will post my review shortly. The Daughters of Mars by Tom Keneally: Tom is one of Australia’s best-loved authors – though I confess I’ve never read any of his books. He won the Booker Prize for his book Schindler’s Ark which was made into the Academy-award winning movie Schindler’s List. The Daughters of Mars tells the story of two Australian sisters who volunteer to become nurses during World War One and ship out to Gallipoli and then the Western Front. Tom Keneally drew on the real-life diaries of WWI nurses to craft this novel. With a mother and a sister who are nurses, I’m looking forward to reading this one! Between The Lines by Jodi Picoult and Samantha van Leer: This is a Young Adult novel co-written by Jodi Picoult (author of My Sister’s Keeper and many other bestsellers) and her daughter. I read the synopsis and it sounds good on paper. It’s about a 15-year-old girl who crosses from reality into the fairy tale world of her favourite book. I’m a sucker for fairy tales. It’s also interesting to see yet another author cross over into writing Young Adult novels whilst J.K. Rowling is going all adult on us. A Dangerous Inheritance by Alison Weir: Alison Weir is a proper historian turned fiction writer. I’ve previously read and enjoyed several of her novels. A Dangerous Inheritance tells the story of Lady Catherine Grey, cousin to Elizabeth I, who is arrested and sent to the Tower of London. Her crime was to marry in secret and produce a child who may threaten Elizabeth’s claim to the throne. I love a juicy plot about the Tudors! The Casual Vacancy by J.K. Rowling: I have to read this one. I’m dying to see what J.K. creates post-Potter days. This book is about small town intrigue set in an idyllic English village. The publisher describes it as “Blackly comic, thought-provoking and constantly surprising.” Hmm … we’ll all be the judge of that! The Twelve by Justin Cronin – Book 2 of The Passage: This book has been a long time coming. So long that I will have to go back and re-read The Passage. How many times has the whole apocalyptic/end-of-the-world/killer virus/zombies/vampire thing been done? Plenty of times in books and film. But not like this. 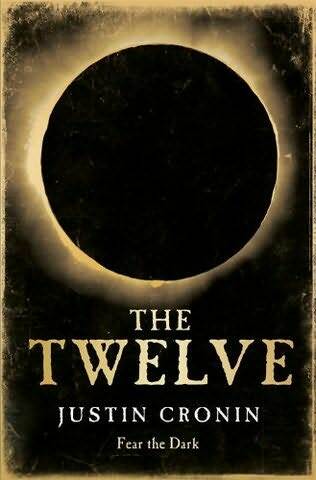 The Passage was an epic read and I am looking forward to reading it again and then diving into The Twelve. I’m not sure when this will be out in Australia. It seems to be October in the US so I am hoping it will be released here at the same time. This is post-apocalyptic imagination at its best. *Note: These are all Australian publication dates. I am linking to the Australian publishers’ websites, but am not endorsing you buy the books from these websites. I’m just purely letting you read more about the books. Nice list – thanks for stopping by. I agree! I just finished reading The Light Between Oceans and loved it. Now reading Bitterblue.